New revisions are being made to Student Senate election policies including guidelines for write-in candidates, which may change the dynamics of elections. 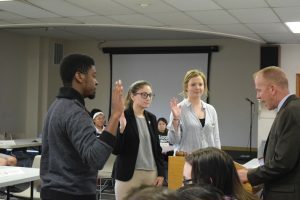 Temporary Internal Affairs Chairman Nick Fahnders and his committee proposed several amendments that would require write-in candidates to follow the procedures of official candidates in order to run for a position. The proposed amendments state write-in candidates should be required to complete a petition and follow other candidate rules to be considered for a position, but their names will not appear on the ballot. Senior sports communication major Kevin McClelland said he decided to run last minute as a write-in for Student Body President during last spring elections. He said he thinks these proposed amendments wouldn’t be fair to students considering running for a position last minute. Whited said she thinks write-in candidates should be required the same work as regular candidates. Anklan said she is not enthusiastic about these amendments because many people are unaware of Senate activities. Whited said in the past faulty write-ins and invalid votes, including one year when a cat received several votes, have ruined election results. By creating more guidelines Senate can ensure results won’t be messed up. “It is a way to protect and make sure people are serious about it and are not just trying to screw with results,” Whited said during the general assembly meeting. In addition to possible changes in write-in requirements, Senate has also made changes to the constitution regarding campaigning rules of the president and vice president. Whited said this means students will only be able to vote for a president and vice president ticket, not individual candidates. 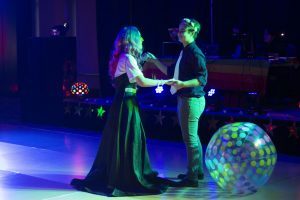 By having these two Student Body Officer positions run and be elected together, they are trying to ensure that the pair would be able to work well together during the term, Whited said.